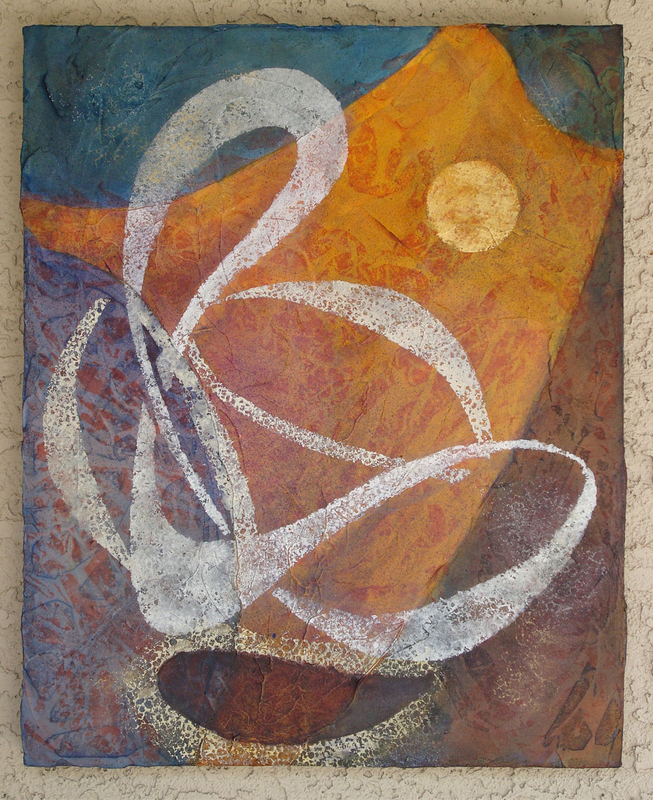 Juried into the N. AZ Watercolor Society Experimental Exhibit at the Sedona Art Center Special Exhibition Gallery, Sept. 27 - Oct. 16, 2011. Shown against a wall as the painting edge is uneven. Some iridescence. Acrylic on 1-1/2" deep stretched canvas, wrapped--no frame needed, wired and ready to hang, signed on the side, varnished for protection.